For the better part of the 19th century, Tacoma, Washington, a port city on Puget Sound just south of Seattle, was the last stop on the Northern Pacific Railroad. 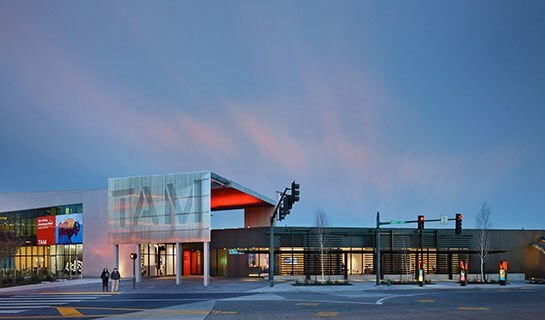 Now, AD100 architect Tom Kundig of firm Olson Kundig references the city’s rail-meets-water status in the just-opened 16,000-square-foot expansion of the Tacoma Art Museum. For the new space, the Seattle-based architect has revised the museum’s entryway and made room for the new Haub Collection of Western American Art. 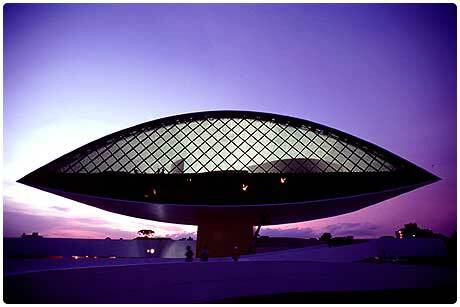 A soaring canopy of aluminum and stainless steel hovers over the galleries below. The façade’s sliding sun screens, made of a locally produced recycled-paper-based material called Richlite, mimic boxcar doors and can be opened and closed with a giant handwheel. And in typical Olson Kundig fashion, sustainability is key: Water usage is reduced by low-flow fixtures, and reclaimed materials from the original museum structure, removed for the renovation, were incorporated into the new design.